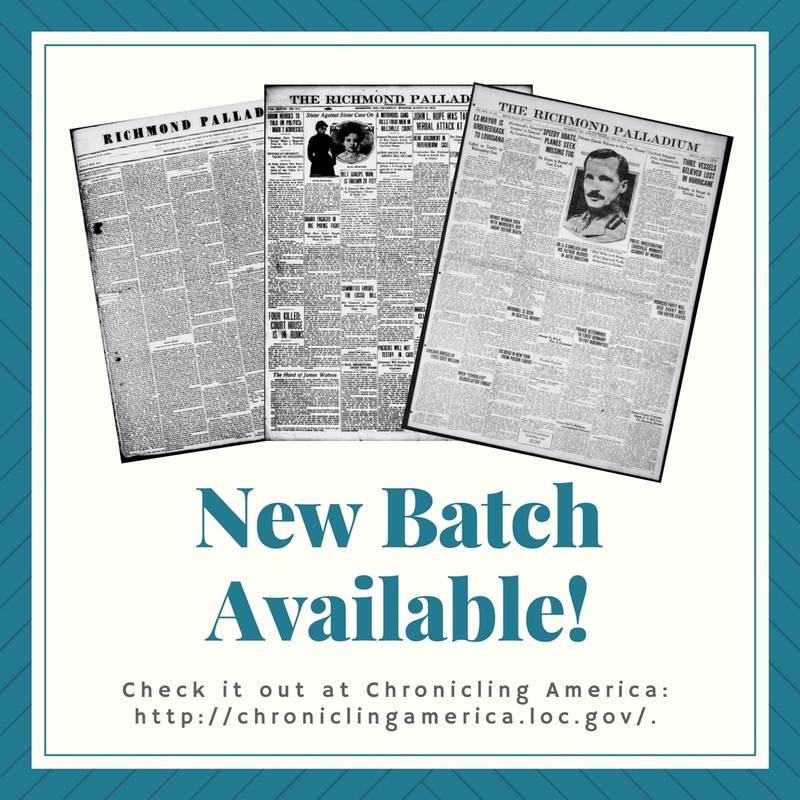 This batch comprises 632 issues (totaling 6,346 pages) and brings our total page count in Chronicling America to 315,480! 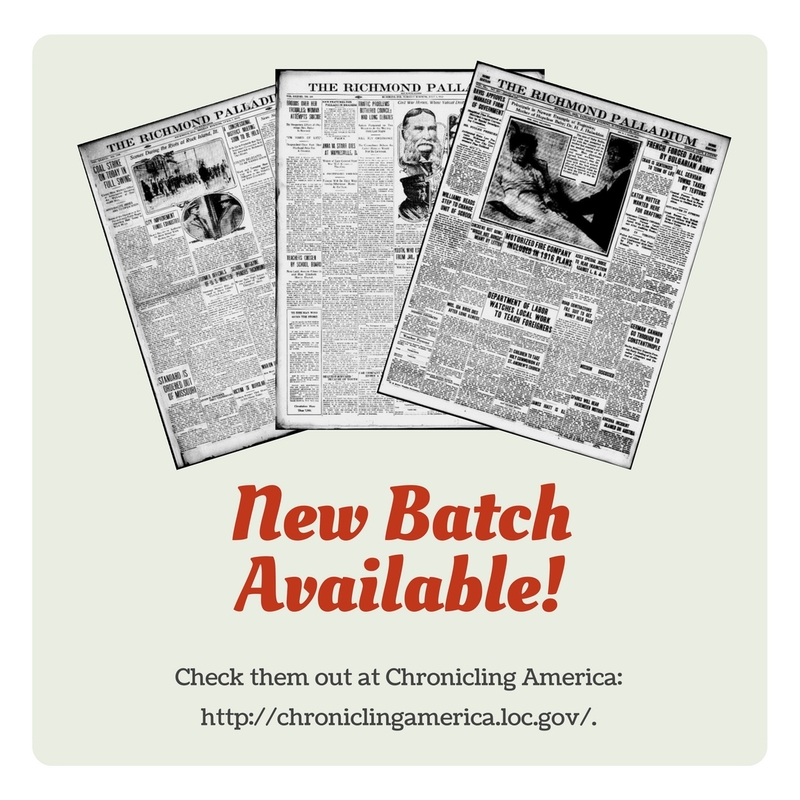 We’ve got another batch of newspapers available for you through Chronicling America! 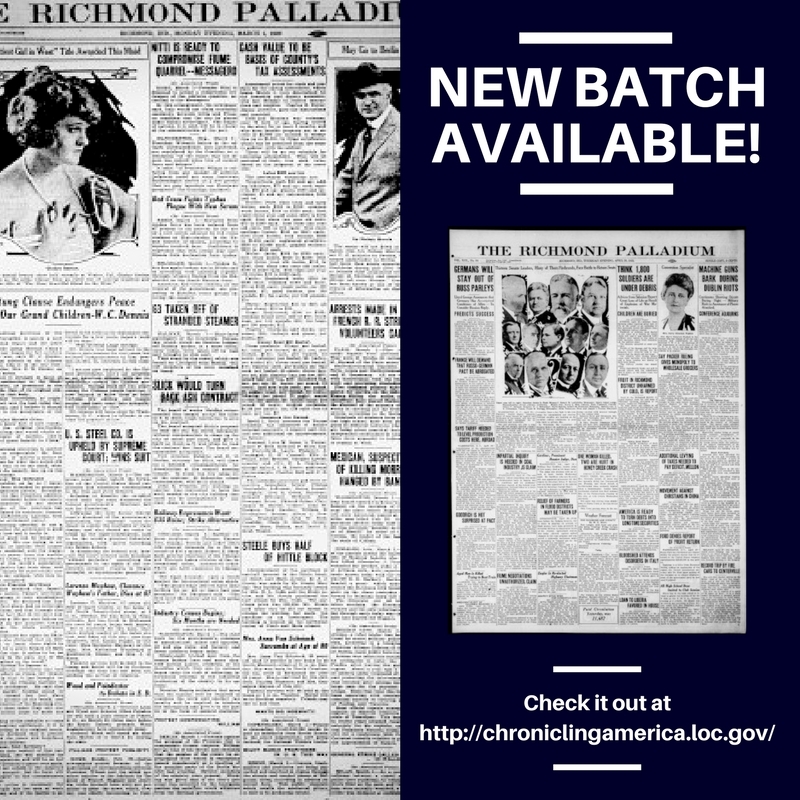 This batch covers the Richmond Palladium (Daily) from January 01, 1920 to April 20, 1922. Our total page count is now 279, 042 pages! 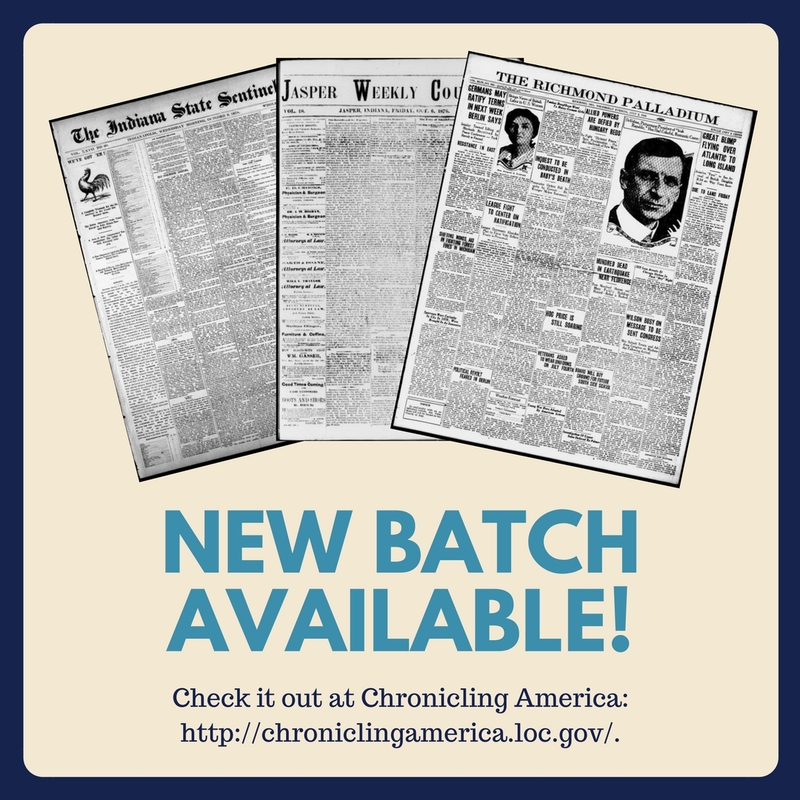 Check out this new batch at http://chroniclingamerica.loc.gov/. This program has been assisted by a grant from the National Endowment for the Humanities. To learn more, visit https://www.neh.gov/grants.